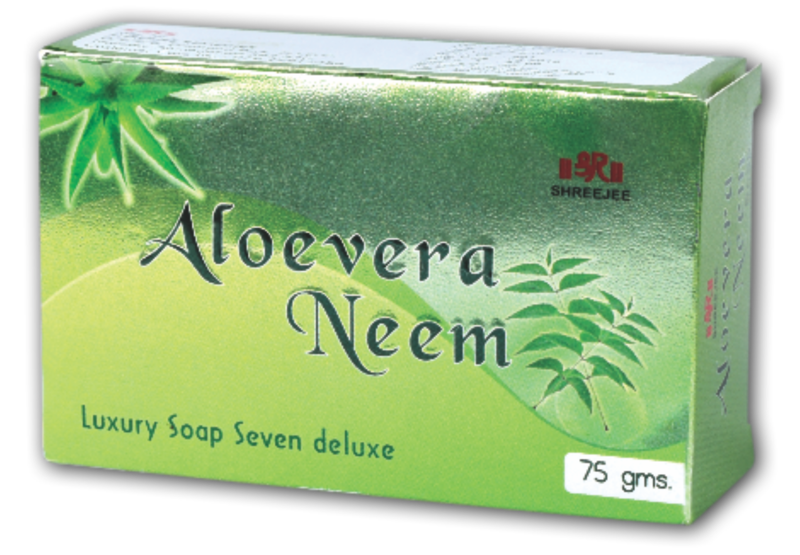 Aloevera Neem Soap is prepared from all the goodness of naturally derived ingredients to keep your skin protected at all times. Aloevera for Refreshing skin & Neem for skin protection. Due to its antifungal properties,it relieves dry skin and soothes itchiness, redness, and irritation. It also improves general skin health and immunity, combating bacterial infections such as acne, boils, and ulcers.